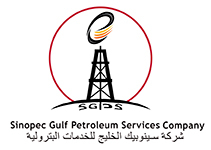 Sinopec Gulf Petroleum Services (SGPS): A Joint Venture Company; established by Triple e Holding Company (Triple e)(51%) and Sinopec International Petroleum Service Company ( SIPS) (49 %), to carry out Drilling & Oil Services and work over activities in strategic alliance with SIPS. SGPS is establishing a new division for rig move, location construction, and other services to support the local drilling companies in Kuwait. Provide Oil Services, Drilling & Drilling support services and Trades.